During childhood days, our village in Kerala had a public library, housed on the upper floor of the Post Office building. The library had a good collection of books, periodicals and newspapers. The library used to be bustling with activity in the evening. Students and youth came there to borrow books, many came to read newspapers and periodicals and above all, it had a radio connected to a public address system which beamed the news from All India Radio. Those were the days when most households did not own a radio and Television had not become a reality. Our village with its literate masses needed something to read as a source of information and entertainment and the library provided it. My brothers used to borrow the books from library and our grandmother who lived with us then used to read them after everyone went to school. Now my mother, a grandma, watches the tear-jerking serials on the TV after everyone leaves the home to school or to work. During my recent trip home, I found the library totally deserted. The reading habit seems to have died down. How can you expect children overloaded with assignments, tuition and above all entrance coaching to find time to read? Various tear-jerking serials have occupied the free time of housewives and senior citizens, which in those days was spend reading. 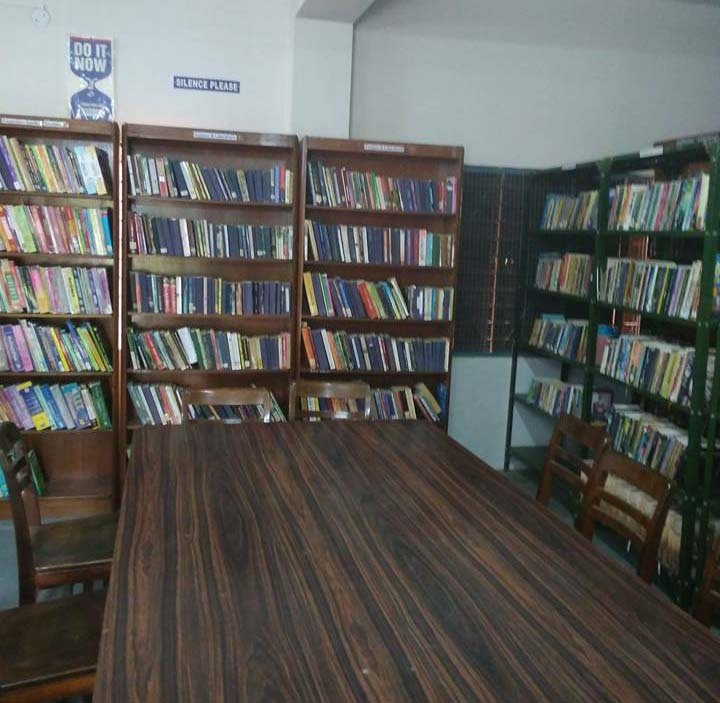 Sainik School Amaravathinagar, our school also had a well stocked library. I actually started using the library only from my Grade 8 onward as I was not all that proficient in English till then. At that time Mr Stephen the librarian had taken over. Till then the librarian was a clerk or an administrative staff member who hardly had any clue about the real duties of a librarian. Mr Stephen with an ever smiling pleasing personality was a graduate in Library Sciences. He was the first person to encourage many of us to use the facility of the library and also explain to us the wealth of information available there. He always used to remind us as to how lucky we were to have such a library which he said many colleges and universities in India did not have. Other than being the librarian, Mr Stephen used to actively participate in all extra-curricular activities. One could always see him in the gymnasium helping students, playing all games with the students and also participating in adventure activities like trekking and rock-climbing. This helped him develop a special rapport with the students. I spend some of my free time in the library and also whenever I was made an ‘outstanding’ student in the classes, I straight away moved into the library. Mr Stephen exactly knew what would have happened in the class, but never asked me a question and let me into the library. On migration to Canada, we settled down in the city of Mississauga. The City runs Mississauga Library System. It is one of the largest public library systems in Canada with over 300,000 registered users. There are 18 locations, including a multi-floor Central Library with material allocated by subject areas. Anyone who lives, works, attends school, or owns property in Mississauga can obtain a Library Card required to borrow materials. All the library branches I visited were always full of customers, especially students and seniors. The library system has a large collection of books, DVDs, video tapes etc in 22 languages including Hindi, Tamil and Punjabi. The excellent catalogue system followed by the library can be accessed online from the home. One can place a hold on a material through the online system. The moment the material arrives the customer is intimated by email or over the phone. In case a desired items not in the Library’s catalogue, it may be obtained through inter-library loan. In case the library branch one visited does not have a desired material, but is available in another branch, the same is transferred to the library if you request for a hold. All materials borrowed from any branch of the library can be returned at any branch. The catalogue system caters for it. The Library offers access to downloadable eBooks and audio books. One can download these to a computer or a mobile device. One can also sign up to receive sample chapters from new books and newsletters about new books and authors. Library staff are always available to help the customer to find information and choose materials. The Library offers extensive information on occupations, educational planning, career planning, training and job search strategies. An extensive collection of fine, old and rare materials, dealing with the history of Mississauga City is available for in-library use at the Mississauga Central Library and includes scrapbooks, local archives, and a large collection of photographs. Genealogical materials are available through Ancestry at all Library locations. The Historic Images Gallery brings together the image collections of multiple institutions providing centralized access and is searchable online. eResources provide access to reference eBooks, newspaper and magazine articles, scholarly journals, book reviews and more. Search over 30 eResources covering a wide variety of topics including health, business, world news, literature, sports, arts, and entertainment. With a valid Mississauga Library card, you can do your research from home, school or office. Children’s Dial-A-Story can be called as often as you want, any time of the day to listen to a new preschool story each week in the comfort of your home. Public access to the Internet and Microsoft Office is available at all Library locations. One can book a session to use a Library computer with a valid Library card. Photocopiers are available at all Library locations at a minimal payment. Copying is subject to copyright laws. Large Print Books are available from all library locations and rotate from library to library. In partnership with the Canadian National Institute for the Blind (CNIB) Braille Books are provided via mail. Dear General Raj Mehta I got to fully agree with you that the “The baby has been thrown out and the bath tub too and the water and the soap and the Loofa”. We need to go back to the drawing board of reading and writing in case we wish our generations to come to be smarter than ‘us’. Let us all hope the education or HR ministry sees this and do something about developing the reading habit at grass root level. All those sayings about “Ache din” are over – Let us see some action. I believe that a person who does not hear cannot speak and thus a person who does not read cannot write. Dear Reji. You seem to have lot of time to pen down all these. Anyway we all enjoy it. Keep it up. Read through before you post to avoid errors (not this, previous one or two). Remember our trekking from Thekkady to Idukki and you addressing the students assembly at Vellathooval school. Were you in the group who trekked from SSA to Munnar (1977). Mr. Varkey Joseph & Mr. Santhana Krishnana led our group. I am trying to prompt you for more of these. Mr Simon Peter the librarian of our school (Sainik School, Kazhakootam) joined the school in 1973 and even after his retirement and sad demise,he is remembered by the students more than many of the teachers. He had identical qualities which you state of your school librarian. He used to state that the school library was bigger than many of the College libraries and inculcated reading habit in the students.He was a good athlete and also took on responsibility to coach the school Volley Ball and Basket Ball teams. One great quality was that he was always cheerful and was never heard complaining about anything. Rest in peace Mr Simon Peter. Your memory is cherished by many. Why is it that in India we do not have big libraries at state or district level of the size stated by Reji in this article? One of the reasons is that majority of our politicians are illiterate or semi- literate.This majority with their vote catching qualities are heard more than the sophisticated politician and govt funds get allocated to populist schemes which translate directly to votes. Some of them even state with pride that had they studied in school, they would have at best become a clerk in the nearby factory. And without studies, they have become a minister and amassed much more wealth than anybody could dream of. Mr Simon Peter, who was the librarian of Sainik School, Kazhakootam during our time is definitely remembered more than many of the teachers. We always looked forward to the break between the classes to rush to the library before others and to read our choice newspaper / magazine & borrow some books. Definitely the reading habits have reduced today, due to distractions of TV & time spent online on other activities.